Magnum, the Unilever brand, is adding a chef's table experience to its annual Pleasure Store activation this year where visitors can learn more about how the chocolate-covered ice cream is created. The annual Pleasure Store experience will give visitors a chance to personalise their Magnum by choosing a range of toppings and custom colours. The chef’s table event is a new, ticketed part of the experience where guests will be able to learn to dip the ice-cream in chocolate, as well as Magnum’s "Bean to Bite" initiative on how it sources the chocolate. There is also an "Aroma station" where visitors can take in scents such as rose, praline and Belgian chocolate. Magnum has created a lookbook of designs for the ice cream that visitors can opt to buy at the store. These have been inspired by fashion. The ice cream can be dipped into a range of colours such as blue or black, and there are extra toppings too for this year. The activation is now in its sixth year in London, and is being delivered by brand experience agency Hot Pickle. Hot Pickle's co-founder and director Patrick Hammond said: "The challenge for us is how to keep it relevant. 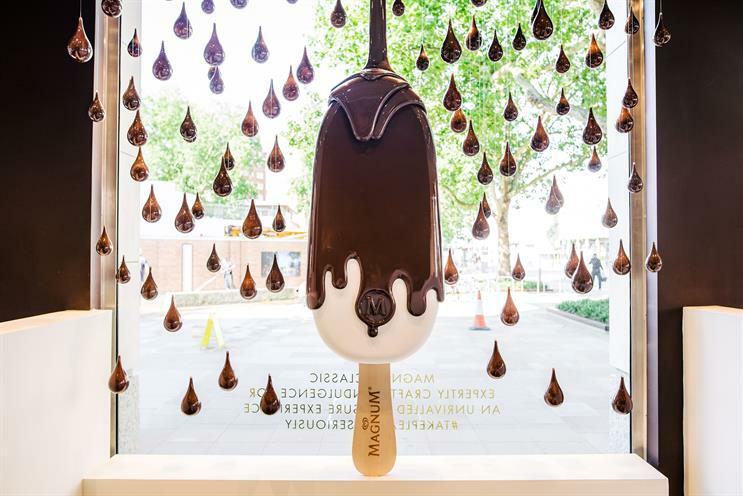 The consumer concept to come in and design your own Magnum remains very popular. "As marketers, we must never overthink things, but we have pushed the boundaries a good bit for this year… there is a drive where people like the exclusivity of learning to do something. People like brands with stories so it’s a chance to do that."